Law View is a delightful equestrian property situated in the heart of the Borders hunting country, with remarkable views across the stunning countryside. This detached three bedroom property, which offers scope for reconfiguration or renovation if required, has tremendous potential with the benefit of a modern stable block and land amounting to approximately 6.9 acres. 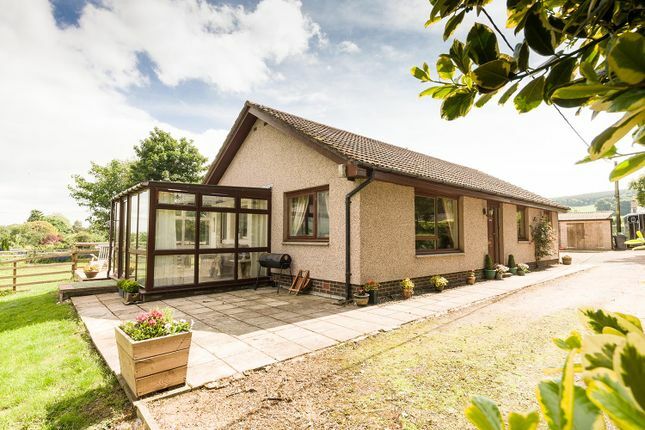 The property occupies a rural, yet very accessible location, situated near the A68 trunk road through the Scottish Borders. The surrounding area provides beautiful countryside walks and rides. Kelso has a first class race course and there are numerous golf courses in the Borders. This is an increasingly rare opportunity to purchase an equestrian property with modern outbuildings and easily manageable land. The cottage currently comprises an entrance porch, hall, generous sitting room, kitchen with utility and conservatory, together with three bedrooms, a bathroom and a shower room. The cottage has extensive storage which could be opened out to expand the living space as well as offering enormous potential to create an elegant country cottage in a peaceful location. The property is accessed via a short lane to a spacious parking area with room for both cars and trailers. To the front of the cottage, either side of the conservatory, there is a patio and a decked area both positioned to get the full benefit of panoramic views across the surrounding countryside. To the rear of the cottage there are three 12’ x 12’ stables, a tack room and garage. This practical block of outbuildings is constructed from wood and benefits from power, lighting and water, along with direct access to the first paddock that runs to the side of the cottage. Further land sits to the front of the property, divided in to two fields which gently slope away, again with fabulous views. Both fields have water troughs. In all the land amounts to a total of around 6.9 acres. 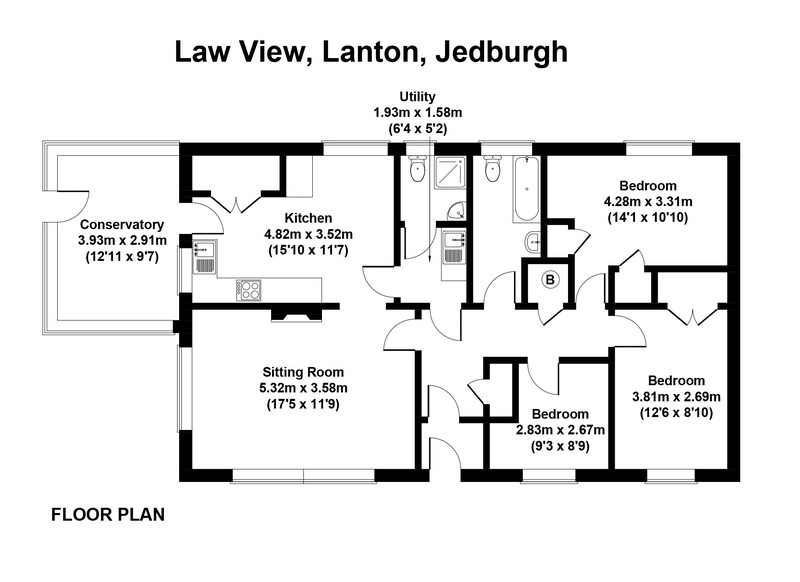 Law View is located in the peaceful hamlet of Lanton, close to the popular market town of Jedburgh where there is a good range of amenities including a wide range of shops including an award-winning butcher, professional services, good primary and secondary schools, a health centre, supermarket, a number of restaurants and cafés, and a wide range of leisure amenities. Jedburgh is home to one of the most famous and oldest Rugby Clubs in Scotland, Jed-Forest; other sports activities include football, swimming, badminton, tennis, athletics and skiing on the only dry ski slope in the Borders. Jedburgh is one of the most historic towns in the Scottish Borders, with many fine buildings including the beautiful 12th century Augustinian Abbey, Mary Queen of Scots fortified house, and the Victorian County Jail. The main A68 runs nearby which makes many of the surrounding Borders towns and villages within easy commuting distance. Good communication links to the north and south via the A68, A7 and A696 trunk roads provide access to Edinburgh, Carlisle and Newcastle. The nearest mainline railway station is at Berwick-upon-Tweed which provides mainline services north and south to major UK cities. Both Edinburgh and Newcastle have international airports and are easily accessible.